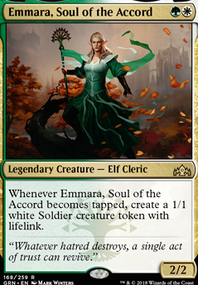 Some lands you might consider: Krosan Verge can grab Cinder Glade , Canopy Vista , Sheltered Thicket and Scattered Groves . 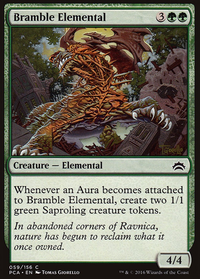 Battlefield Forge , Sungrass Prairie , Exotic Orchard and Blighted Woodland are cheap ones to include. You may try Nature's Lore , Farseek , Skyshroud Claim , Kodama's Reach and Circuitous Route . 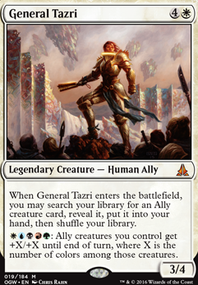 The first three can grab nonbasic lands, while the last one can search for Gruul Guildgate , Selesnya Guildgate and Boros Guildgate . Mosswort Bridge is great with big creatures. Rogue's Passage can make Gishath go through. 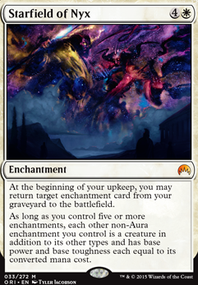 Boros Charm protects your board. Also, I'd recommend dropping the Selesnya Guildgate. Either just run more Forests, or Scattered Groves if you feel you need the . Very cool theme, I don't often think of white Saprolings, but it's very cool to see, and it opens a lot of doors with white as an additional color. 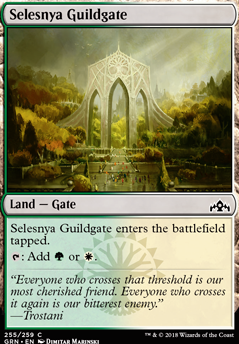 Swap Selesnya Guildgate for Graypelt Refuge. It’s strictly better for the same price. I think there is another life tapland, but i dont remember its name.